The bathroom might not be the most important room in your home or the most used but it is surely important. Its a place where you have peace and privacy and most often get to relax. For me, having a beautiful clean bathroom is a must. Since my husband and I had a low budget when we bought our home, we couldn’t do much to the master bath. But besides completely renovating, there are things I have done to make it more bearable and better looking. Our half bath downstairs is also a small project we haven’t gotten to yet but plan to in the near future. With just a little bit of paint, new flooring and a new sink, it would totally be transformed and it wouldn’t even cost much. I love home projects and doing it all ourselves is always fun too. I enjoy doing the work and taking all the credit but in the end, its all about taking a step back and seeing the beautiful space you have created. To all of you who feel the same and enjoy doing DIY projects around the house, here are some great ideas I scooped from Better Homes and Gardens on what to do to spruce up your bathroom. Enjoy! Using white items tend to cost less because manufacturers make them more often. Plus, white is a perfect color for the bathroom because it looks fresh and clean. Just by updating the hardware in the space, the room can look like it had a facelift. Most hardware is affordable and very easy to install. Definitely a DIY project you can do in less than an hour. By changing or updating your tub area, you can easily make the bathroom look different. There are plenty of companies that you can hire to help with this problem. Instead of remodeling the whole area, why not call in someone like Bathfitter who can simply cover it all up and make it like new. For under $5,000 you can get this checked off the list. Add more storage to what you already have so you can stow away items that don’t need to be seen. Maximize your space and get organized! Get creative and turn a piece of furniture you love into a vanity. All you need is to cut a hole out for the sink and you have a beautiful piece that will transform the room. Look for great finds at outlets, garage and estate sales and craigslist. A little bit of paint goes a long way. Revamp your space with a new color or treatment and just see the room transform. Use fabric to create a skirt to go around your sink and hideaway plumbing and storage. 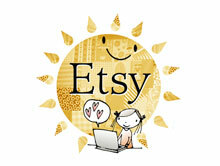 Its affordable and fun and adds a nice touch to the space. Think out of the box and repurpose other pieces to use in the space. Like this drawer being used for a shelf. Its easy and looks really cool. 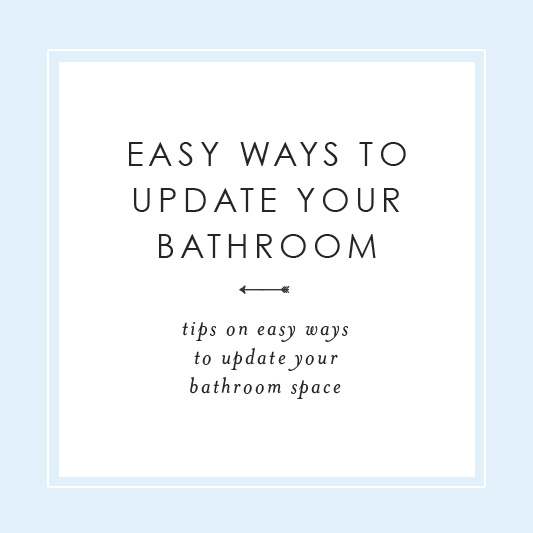 Does your bathroom need an update but the budget just isn’t there to completely re-model? A few ideas to affordably update your space!